Last week several domains previously operated by Kodi addon repository TVAddons were transferred to a Canadian law firm. This week the action continued, with domains previously connected to the now-defunct Kodi addon Navi-X suffering the same fate. Meanwhile, more TVAddon domains have been placed in the law firm's hands. In the wake of the Dish Network lawsuit filed against TVAddons in Texas, the booming Kodi third-party addon scene received its first real taste of corporate power. With lawyers breathing down their necks, several high-profile Kodi addons took the decision to shut down and even TVAddons itself went offline without explanation. With very little news surfacing, last week we revealed how three key domains previously operated by TVAddons had ended up in new hands. TVAddons.ag, the site’s main domain, plus Offshoregit.com and XBMCHUB.com, were transferred to Canadian law firm, DrapeauLex. With no explanations forthcoming from company owner Daniel Drapeau or staff at TVAddons, no solid conclusions could be reached. Was this part of a settlement with Dish Networks or was something unrelated underway? With everyone involved remaining tight-lipped since, further investigations by TorrentFreak this week have revealed more developments on the domain shifting front, with one in particular catching the eye. Back in May, one of the oldest and most popular Kodi addons was shut down by its operators. Navi-X, which was used by hundreds of thousands of people, was discontinued after spam, pollution of its indexes, and mislabeled adult content piled on top of general legal fears. Navi-X was a particularly iconic piece of software. Launched in 2007 by Netherlands-based coder ‘Rodejo,’ it debuted on XBMC (Kodi’s previous name) on the original XBoX. Subsequent success aside, that longevity put the addon into the history books. So why then is Navi-X’s former main domain now in the hands of the same law firm that’s taken control of TVAddons’ domains? 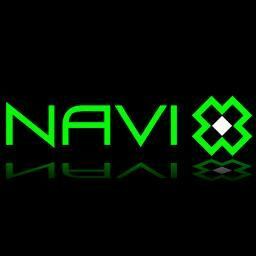 Navixtreme.com was first registered in November 2007 and was the key domain associated with Navi-X. For years it was prominently displayed on the addons’ Twitter feed, for example. 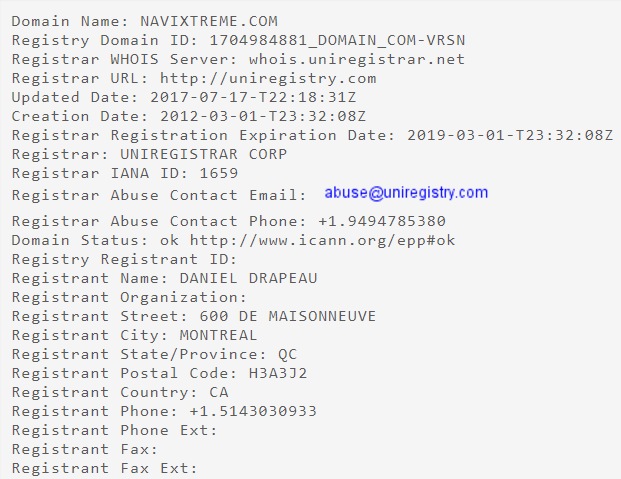 Another domain – navi-x.org – was registered more recently in February 2017. Both are now under the control of lawyer Daniel Drapeau. What is unusual about this situation is that Navi-X shut down long before the Dish lawsuit was filed against TVAddons. If TVAddons did indeed shut down because of that lawsuit, why then have the domains of Navi-X been transferred in the same manner as TVAddons’ domains? They certainly weren’t mentioned in the lawsuit so one has to conclude that something else is at play here. Again, no one wants to talk, but the situation appears to be fluid. In addition to the TVAddons .ag domain that was transferred last week, the law firm has now acquired other TVAddons domains that were registered around the same time, including TVAddons.com, .org, and .TV. Something unusual is undoubtedly going on in the addon scene but quite where this will all end up is currently anyone’s guess. All the signs point to legal action of some kind but the nature of that is still unclear. That being said, it’s unlikely to remain a secret forever.